TopLine offers SOT Jumper components, a low-cost way to short out (JUMPER) Printed Circuit Board circuitry without the need to redesign or design a whole new board. 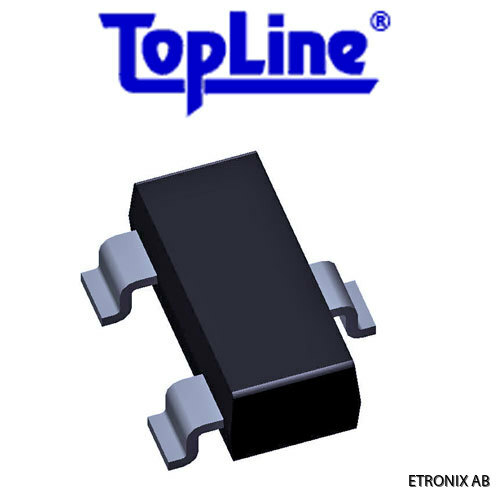 TopLine SOT23 components short-out specific pins together with less than 50 milli-ohms resistance. SOT Jumpers are a quick and easy to replace unneeded circuit. SOT23 Jumpers mount on the PC Board using normal SAC305 lead free solder paste, just as regular components. In the most common configuration, for example, Pin 1 is shorted to Pin 3; another configuration shorts Pin 2 to Pin 3. TopLine also makes a version with Pin 1, Pin 2 and Pin 3 all shorted together. TopLine's series of SOT23 Jumpers withstand 75VDC at 100mA with 350mW power dissipation. Their operating temperature range from -65⁰C to +150⁰C. Standard and halogen free versions are available, and versions with up to 8 shorted pins are available.